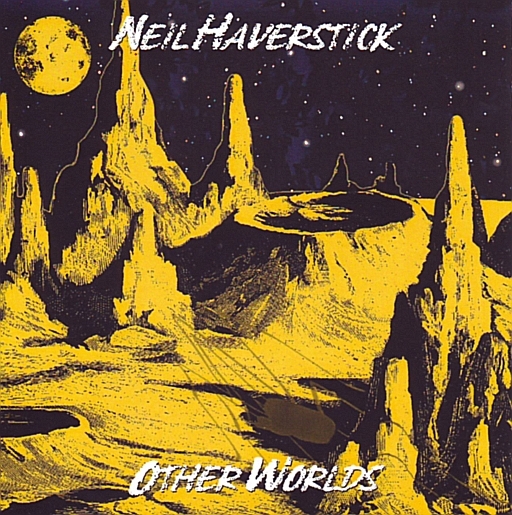 Back in #18, I reviewed Neil’s last album, Acoustic Stick, a masterful jazz / blues / folk acoustic release utilizing customized guitars and basses with 19 or 34 frets to the octave (rather than the traditional 12). The microtones created an otherworldly sound, even in the service of stark acoustic instrumentation, and Haverstick takes this idea several steps further with this next release. This time around, Haverstick uses mostly electric guitars and loads of effects, utilizing microtones to create ambient space music. The result is about as different from the previous album as it could be, while creating atmospheres that make good use of microtonal scales. Once again, John Starrett (who designed all the guitars) provides occasional accompaniment, but this is mostly Haverstick alone, live, and seemingly improvised. Those into modern electronic space music will no doubt love this release, as it utilizes a nice array of sounds and effects, and largely succeeds as a fine experiment with the genre. Haverstick seems poised to explore all the sonic possibilities of the guitar and its harmonic range, so who knows where he’ll go with his next release?